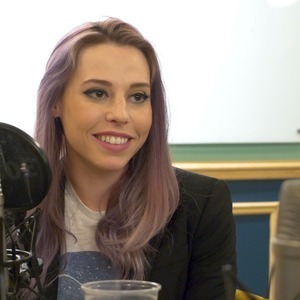 Simon sits down with Amber Baldet, CEO and Co-Founder of Clovyr in the 11:FS offices in WeWork Aldgate in London for our landmark 50th episode of Blockchain Insider. We bring you an interview with crypto queen Amber Baldet, Ripple under security scrutiny yet again, and the EOS Mainnet nightmare. R3 is working with a network of over 200 financial institutions, regulators, trade associations, professional services firms and technology companies to develop on Corda, its open source open source blockchain platform designed specifically for businesses. R3 is an enterprise software firm working with banks, financial service providers and tech companies to make contracts smarter. Corda is the outcome of over two years of intense research and development by R3 and its members. ItCordaItand meets the highest standards of the financial services industry, yet is applicable to any commercial scenario. It records, manages and executes institutions’ financial agreements in perfect synchrony with their peers, creating a world of frictionless commerce... And it’s open source. Corda - It’s blockchain for every business, in every industry business. For business. Head over to r3.com to find out more.